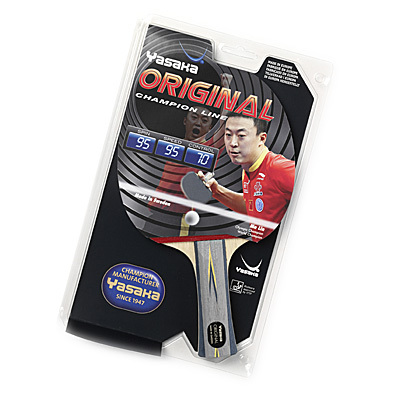 Original competition bat - Yasaka table tennis champion manufacturer. Original competition bat - Yasaka table tennis champion manufacturer. ORIGINAL is a 5-star Yasaka competition bat with offensive allround playing characteristics. The competition quality blade equipped with the Yasaka Original XHG rubbers is recommended for the aggresive allround player. Equipped with the popular and stable rubbers ORIGINAL XHG. A rubber that has a suberb balance and a long lasting life.